Jimmy Kimmel has been involved in a holiday-themed prank war with his neighbors, Emily Blunt and John Krasinski. This year Jimmy Kimmel upped the ante by gift wrapping their entire home while turning it into a winter wonderland. Upon returning home, John Krasinski was greeted by a group of carolers, and a small surprise sent to deliver Jimmy Kimmel’s yuletide cheer. Sadly, Emily Blunt was not with her husband to witness the magic — on camera, at least. “You know what the worst part of this is? 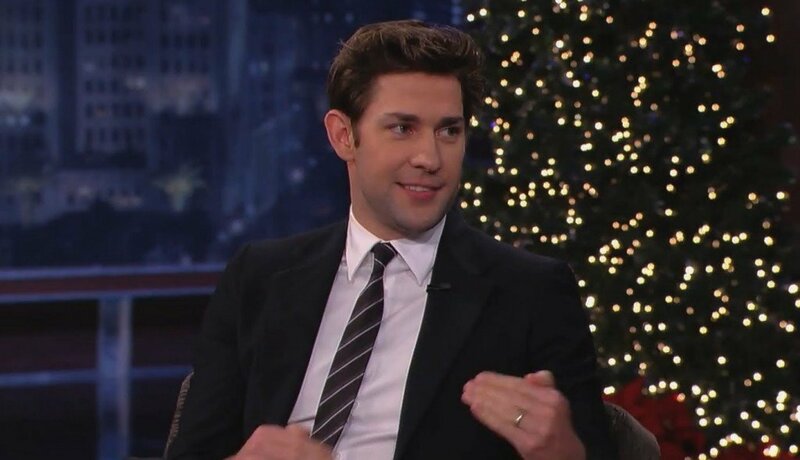 I’ll never get him back for this,” John Krasinski said.